Cristian Faustino Defeats Karim Bennoui In Bologna! 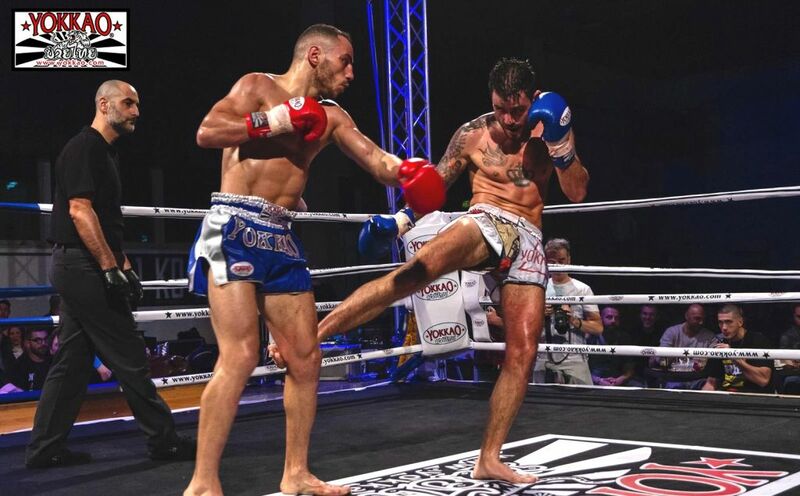 YOKKAO Next Generation debuted in Bologna Italy on 1 December showcasing a card of prominent Muay Thai athletes in the country. Held at the Zola Predosa Sports Hall in Bologna, the show was headlined by an exhilarating match-up between Karim Bennoui and Cristian Faustino. Both fighters left nothing to chance, with the action escalating rapidly right from the start. 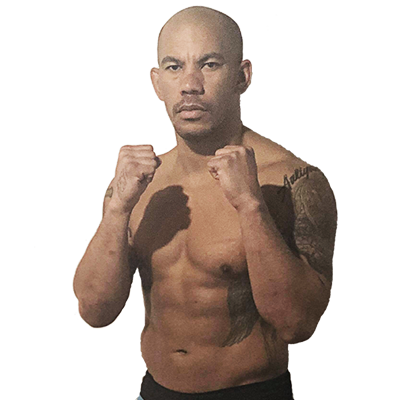 Bennoui delivered what he was best known for: strong punches and even harder low kicks. Faustino retaliated by playing the strategic game with well-timed counter-offense and wicked elbows. After 5 rounds of intense crossfire, Faustino was awarded the win via decision. After his victory on the Next Generation event, it’s a bigger step-up for Faustino as he will take on the legend Saenchai for the YOKKAO 36 main event on 26 January. It’s one wave after another of Muay Thai action over these 2 months in Italy. The successful YOKKAO Next Generation Bologna will be followed up with another show on 16 December. The event will move to Turin featuring YOKKAO Kids in a double bill showcase. 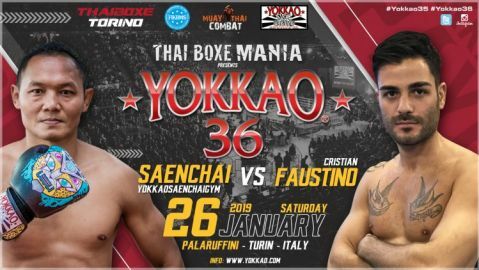 A month later, YOKKAO 35 – 36 will be held on 26 January 2019 at the PalaRuffini arena, also in Turin. Other than Saenchai and Faustino, the double event features a massive lineup that includes Muay Thai stars like Singdam, Manachai, Yodchai, Spencer Brown, Sudsakorn Sor Klinmee, and Liam Harrison. More details on the final card will be released in the coming days.